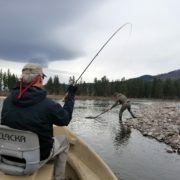 How Much Should I Tip My Fly Fishing Guide? Great question, get asked it a lot. Here’s the deal, recognizing what your guide should, or should not, do for you is very relevant to this question. Experienced clients will tell you it often doesn’t come down to how many fish you caught. Guides are expected to be professional and completely prepared for your trip before you meet. That means gear for clients should be in good shape and ready to set up. Boats and vehicle should also be reliable and clean. They should have received client information from the Outfitter regarding any food issues and prepared an appropriate lunch for the day. Depending on your experience level, your Guide should also have a plan in mind about where to fish for the day. 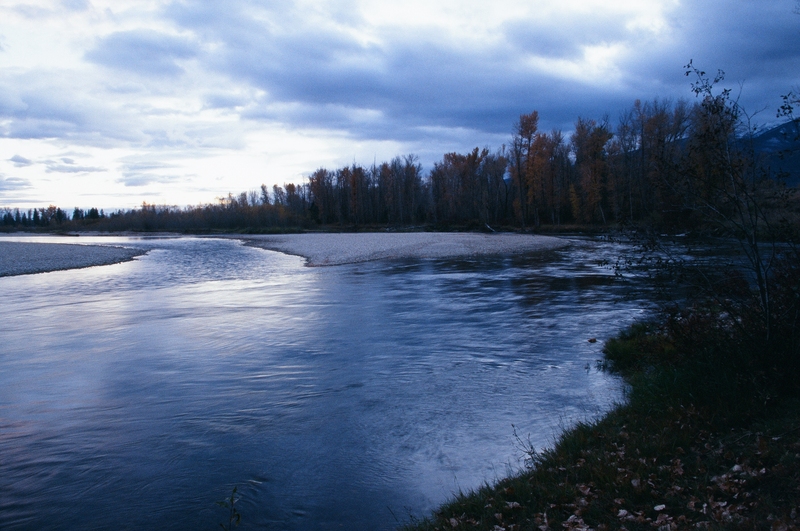 In Missoula, we have such a variety of water to select from, we can cater to your needs. All of that being said, sometimes things happen. Broken client rods from the day before lead to a scramble for replacements. Flat tires on Rock Creek Road make for unexpected delays. And quite frankly, a beautiful lunch may get left in the truck! Even the most professional Guides make mistakes, it’s how they handle it that counts. This is your fly fishing experience and your Guide should help make it the best one yet. Guides have a unique skill set. On a daily basis they are expected to navigate different expectations, personalities, weather, fishing conditions, and experience levels while still producing a great experience in a relatively short period of time. 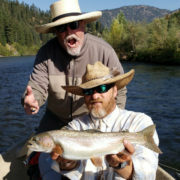 If your guide clearly communicates the plan on the water, works to get you and the boat into the best angle for fishing, rows back up to hit a good run again, changes flies when times are tough, does it again, and again, teaches you something about your cast, or bugs, or the river ecosystem, they are actively engaged in creating a positive experience for you. Gratuity for hard work is much appreciated by our guides and is certainly up to the client’s discretion. Average gratuity seems to range between 20% – 40% of the cost of the trip, or $100 – $200. Unlike some service industry professions, Guides are Independent Contractors and expected to cover their own costs for your experience on the water. Gratuity assists them in making it a viable profession. 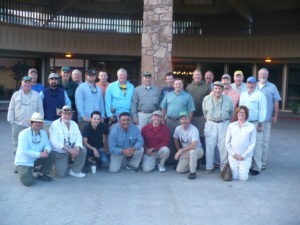 Thanks to Dr. Raymond Poff and the Western Kentucky Fly Fishing group for the 7th Annual trip to Missoula this year. Sure was nice to have some returning anglers and to see some new faces! September fly fishing in Missoula is an exciting time to be out. Looking forward to next year! We’ve got many years of experience working within University settings, specifically within Outdoor Recreation/Education Programs. 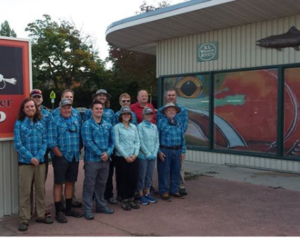 If you’re interested in setting up a Missoula Fly Fishing University trip with your Outdoor Recreation Program, please contact us to make arrangements. Everyone knows about the trout in Montana. People fly across the globe to fish for Rainbow, Brown, and Cutthroat trout in the Big Sky State. The trout are the reason that we are all here. We love them. 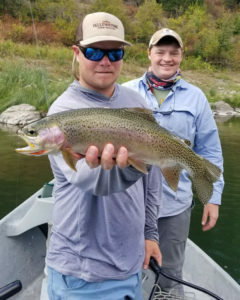 That being said, there are fish in Montana that are overlooked and under appreciated. The bass. Specifically the Smallmouth. 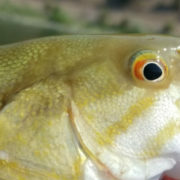 These fish inhabit waters throughout the state with some high concentrations in western MT. Pound for pound, smallies are the strongest fish we have in the state. They are aggressive eaters and love to go air born when they’re hooked. 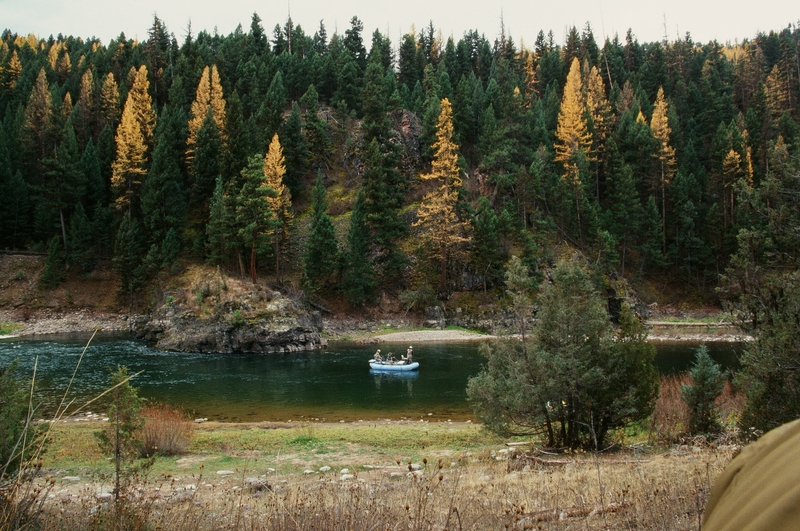 The beauty of the smallmouth fishing in western Montana is the timing. When the trout fishing in not the best, the bass fishing shines. 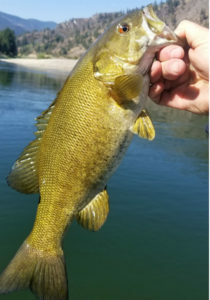 Run off is a great time to explore new water for smallies. 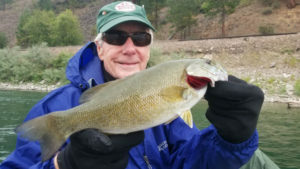 Late summer is also a great time, when the water is too low and too warm for excellent trout fishing, the smallmouth are hungry and eager to showcase their athleticism. 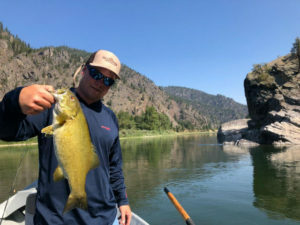 I’ve had more than a few clients turn their noses up at the idea of spending a day in Montana fishing for bass. I understand that. 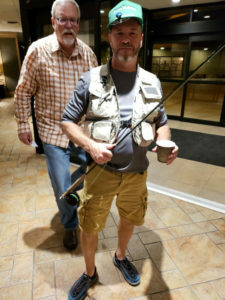 You’re here for the trout fishing. however, if you can give up one day of your trout trip for the Smallies, you’ll get an experience that not many other folks have had. After a day I hear most people say “I had no idea fishing for these fish would be so much fun” or “I can’t believe I’ve been here this many times and never done this”. I’d be willing to bet you’ll be eager spend another day on the the bass water. 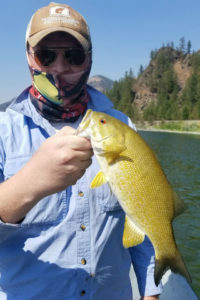 If you find yourself in Western Montana with water too blown out with snowmelt runoff, or low and warm water, get out of your comfort zone and give the smallies try.